Hollywood Chewing Gum, the number-one-selling gum in France, is loved for its freshness and enjoyment. The brand is all about embodying “fraicheur de vivre”—the youthful attitude that comes with the freshness of life. Mondelēz was ready to dial up Hollywood Chewing Gum’s iconic identity to contemporize and build excitement for the brand. LPK helped Mondelēz refresh and unify the Hollywood family of products by creating a strong visual identity system that communicates freshness, taste and enjoyment while also forming a vibrant brand block on the shelf that consumers can easily recognize and shop. “We wanted to reinvigorate the Hollywood family and give it a new look that would help communicate its fresh and dynamic flavors and benefits, while also helping it stand out as a range on the shelf,” says Mondelēz Gum Equity Activation Manager Viktor Kónya. To rebuild and revive Hollywood’s promise of freshness, LPK developed a design system that stands out on shelf and readily communicates refreshment of your mouth—and mind—through dynamic colors, graphics and other visual attributes that improve navigation in the portfolio by driving beyond flavor. Bold colors and dynamic graphics amp up the visual articulation of lighthearted fun, while images of water droplets and ice bring the freshness communication to life. To keep the range visually together as a brand, we also created a comprehensive visual system that drives freshness while keeping the different range concepts—Classic Freshness, 60 Minutes, 2Fresh, Style and Iconic—clear and identifiable. 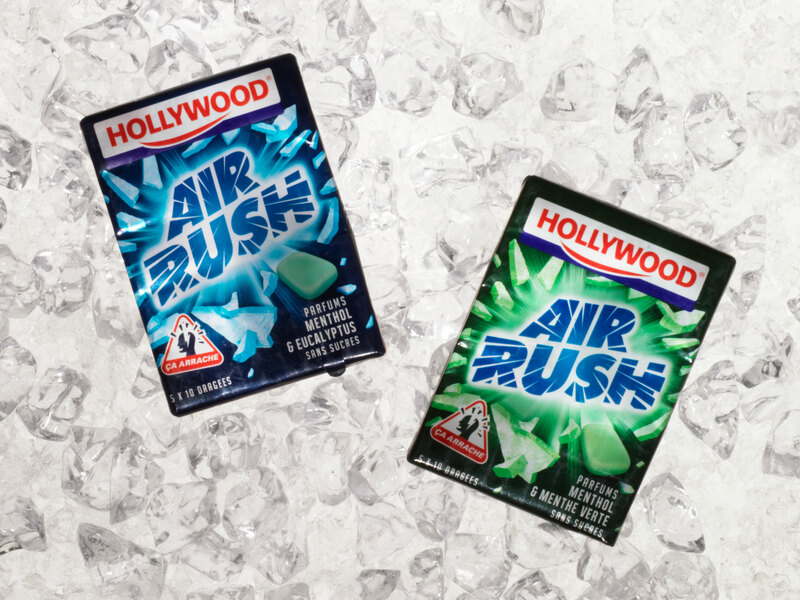 The more dynamic look drives a new wave of freshness and taste for the brand, while unifying each offering under the iconic heritage of Hollywood Chewing Gum. For more about Hollywood Chewing Gum, click here.